Little Girl Crochet Fun and Frilly Skirt! 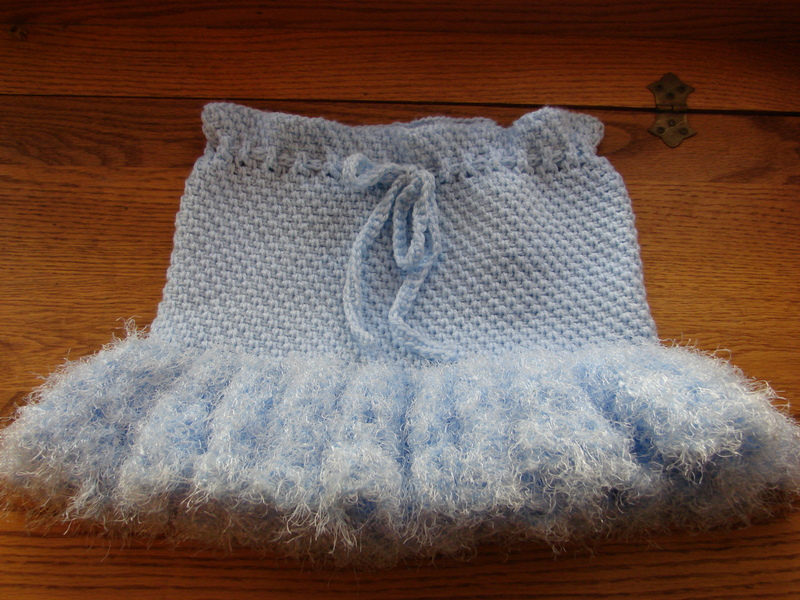 Here is the finished skirt in a Baby Blue color! I just wish I would have had a little one to model this Pretty little skirt. It was easy to make and did not take much time to complete. I was able to complete this in a couple of evenings! Here is the pattern that I found on Redheart. The pattern is in British English and not English from the US. continuous rounds from waist edge to hem. Place stitch markers for beginning of round. twist sts, to form a ring. * around, ch 1, slip st in first dc. * around, slip st in marked st.
around, slip st in marked st. Round 7-32 (35, 44, 53, 57): Repeat Round 2.
space; repeat from * around. from hook and each ch across. If you want to download the pattern you can here Country Fun Skirt Crochet Pattern | Red Heart. Here is a place for you to look up the a translation of the different Versions of British and US stitches Crochet Pattern Terms Differences Between British and American English. 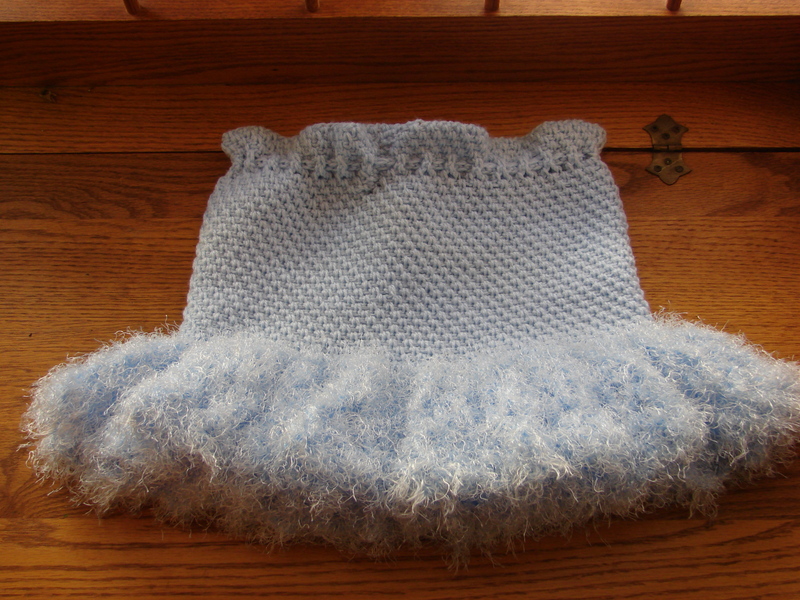 I had also substituted the yarn for Bernat Baby Sport yarn and Lion Brand Fun Fur for the Ruffle. If you have a little one that you would like to make something for try this cute pattern. Now that the Holidays are over I can show you what I have been up to in my Creative Corner of the World! 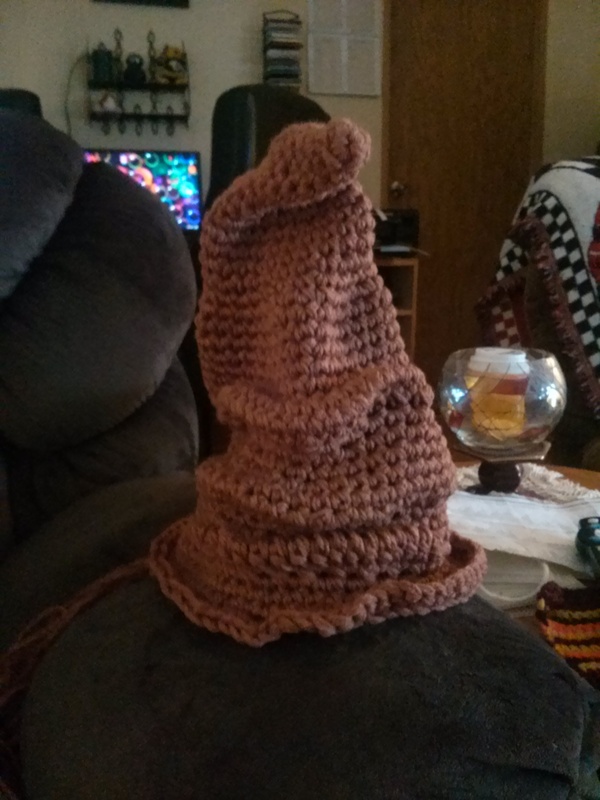 My Sister had told me that she wanted me to try and make a Harry Potter Sorting hat for my Niece and her Friend. I took on the project by printing out a picture of the Hat. 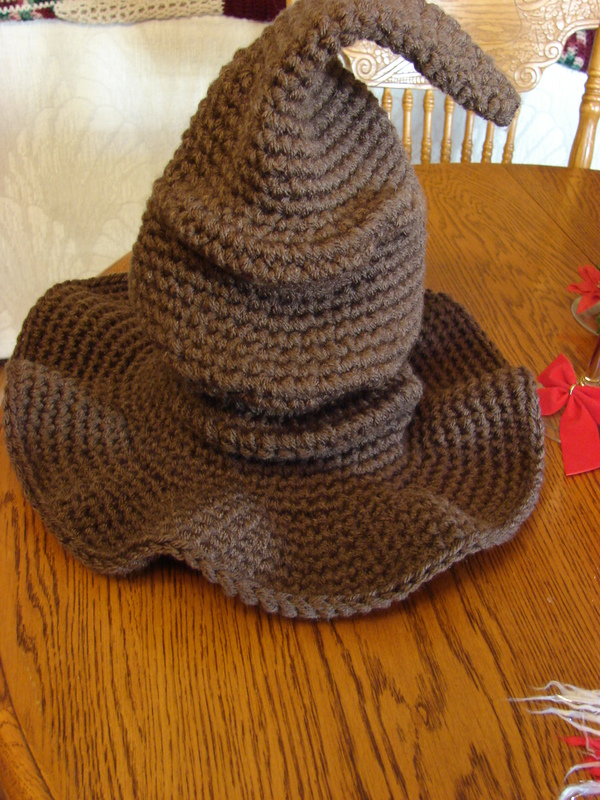 Here are a couple of the pictures I went by to create the Crochet Version of this hat. Down below is the starting process of me creating a pattern and getting the hat to be shaped like the pictures above. The color yarn is different than what I made for my Niece and her Friend. 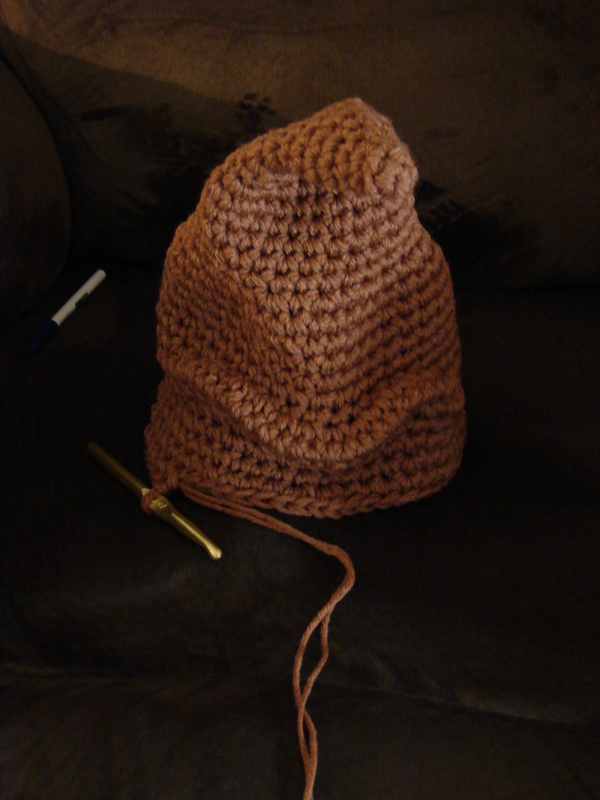 I wanted to just use what yarn I had on hand to create a pattern or I should say my form of shorthand for a pattern. lol This hat is crocheted in the round. The eyebrows as I call them were a challenge but I had overcome that challenge and proceeded on to the rest of the hat. The next challenge I encountered was getting the mouth to look like I wanted it to. 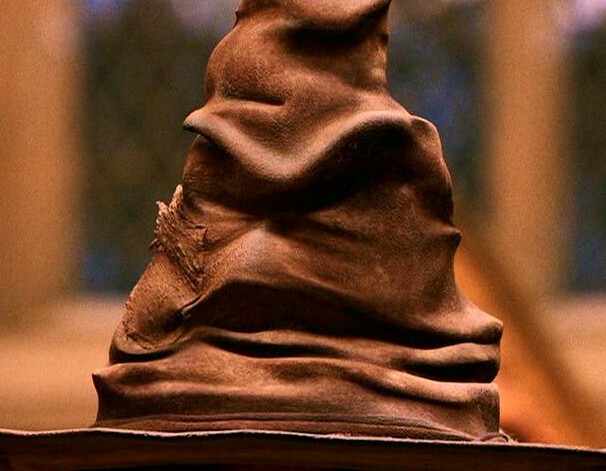 I wanted to create the hat to look like the original hat in the movie. I will admit I was not going to get it to look exactly like the hat in the movie but I was hoping to come up with a real close facsimile! With some trial and error it was taking shape. 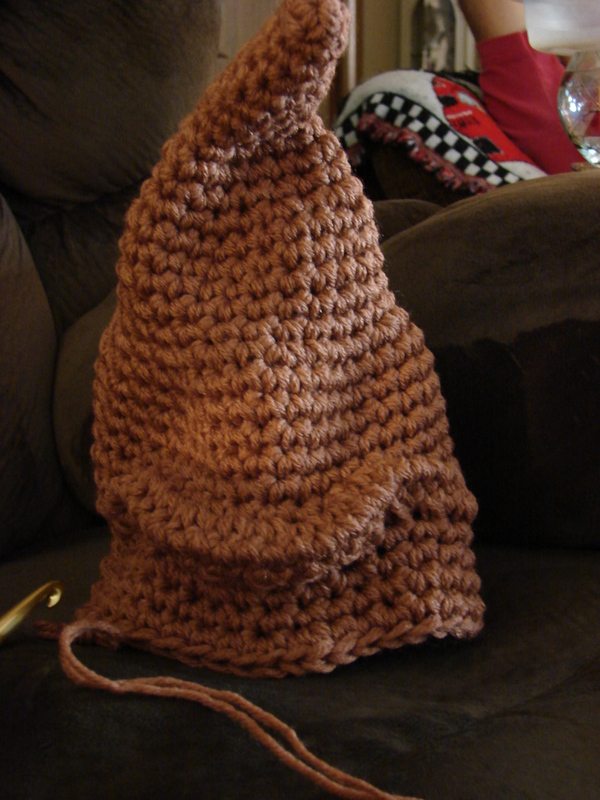 In the picture below I was at the stage of working on the brim of the hat. This was after a lot of tearing out and revamping. 🙂 I have to say that happens a lot in my creative process. Even after going through this process, while I was making the hats for my Niece I was still tweaking the pattern here and there! 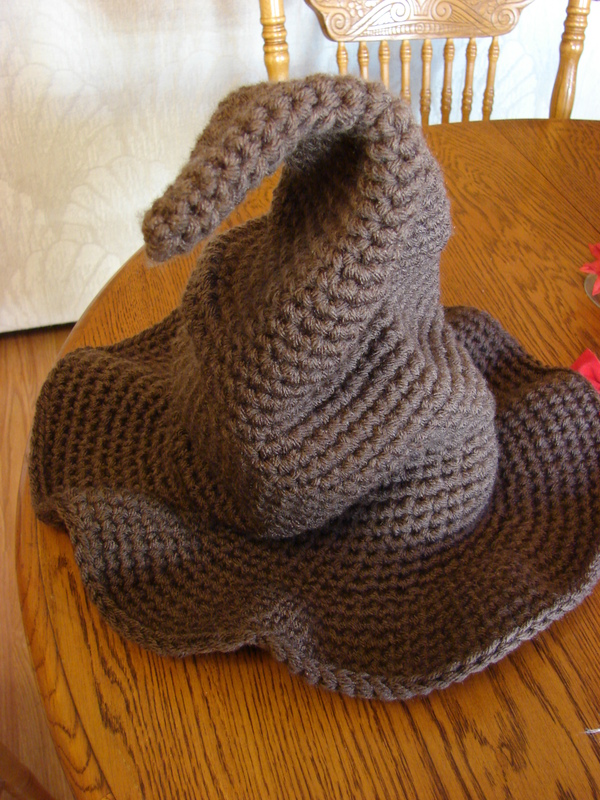 This is the finished product of my version of the Sorting Hat. Here shows the front and back of the hat. There are ties on the original hat but my Sister did not want those attached to the hat. 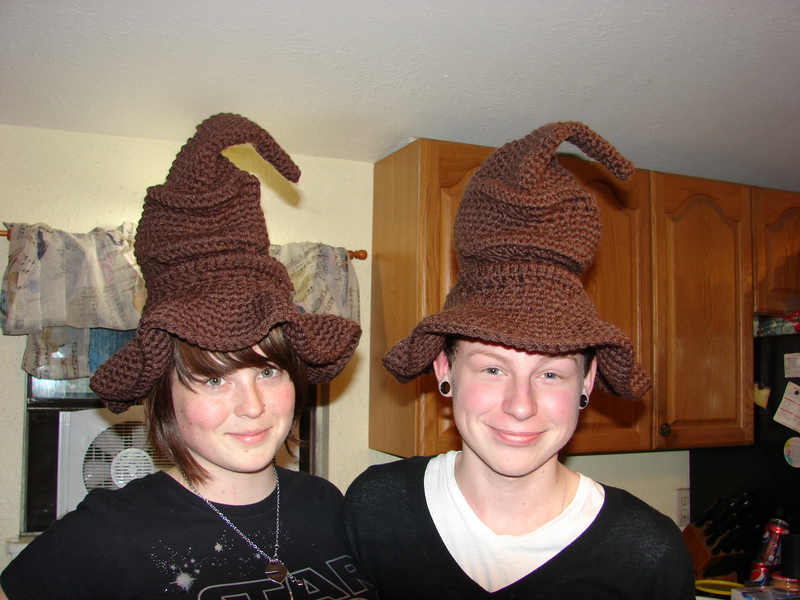 Pictured below is my Niece and her Friend wearing the hats after they received them for Christmas. Thanks for stopping by and seeing what is going on in my Creative World! 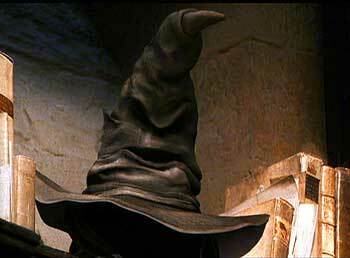 Let me know what you think of these hats and if they do resemble the Hat from the movie! !